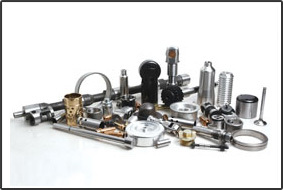 Our commitment to quality and service began when we started manufacturing & exporting auto parts, Cams, Camshaft, Precision Machined Components, Investment Casting, Rockers. Established in 1999 and with over 12 years of experience in the manufacturing and supply of range of Auto part components especially in two wheeler engine parts like Valve, Valve Guides, Rocker arm sets, Camshaft, Camshaft assembly, Connecting Roads, Crank Pin, Block Sleeves Etc…Prime Industries is able to supply a full range of products to the aftermarket for both the India and export customer. Related keywords : Auto Parts, Engine Parts, Two Wheeler Auto Parts, Cam Shaft, Cam Shaft Assembly, Rocker, Rocker Arm Set, Valve, Engine Valve, EN-52 Valve, Sleeve, Valve Guide, Panel Board Accessories, SS Lock, SS Handel, Cabinet Handle, Handle, Hardware Accessories, Stainless Steel Machined Parts, Stainless Steel Complicated Parts, MS Parts, Investment Casting, SS Hinge, Brass Hinge, CNC Precision Machined Components We offer Connecting Rod Kit, Crank pin, Niddle bearing,Gudgeon pin, Washer, Gunmetal Bush, Auto Crank Parts Valve, Guide, Rocker, Cam Shaft, Cam Shaft Assembly.